Image courtesy of Bird. Three scooters parked side by side. 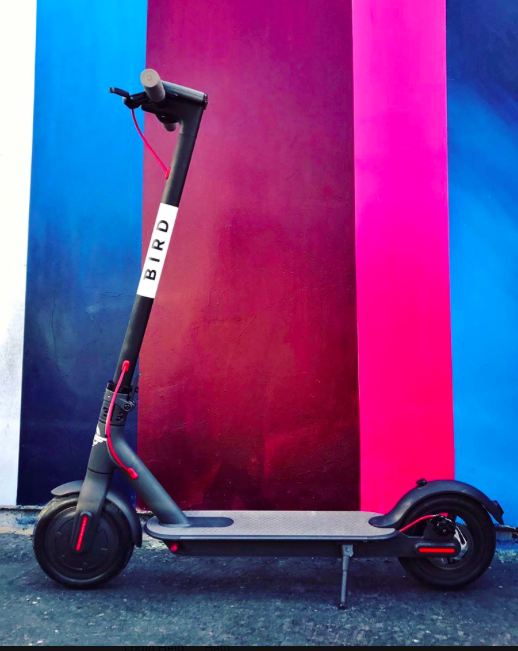 A new city council ordinance requires all motorized scooter companies to pay a $1 fee per day for each scooter they operate. In addition to numerous rules and stipulations set forth by the ordinance, an additional fee of $20 would be charged to the company if the City of Corpus Christi has to move a scooter after a two-hour notice has been given to the vehicle operators. The motorized vehicle companies were given 10 business days to agree to the terms of the ordinance. The companies were notified of this time period on Jan. 15, and the deadline to make their decision was Monday, Jan. 28. Image courtesy of Bird. An older version of the motorized scooter. The ordinance stated that the income generated from the fees will be invested back into the city and targeted towards sidewalk improvements, cost of administering the license program and other safety pedestrian improvements. 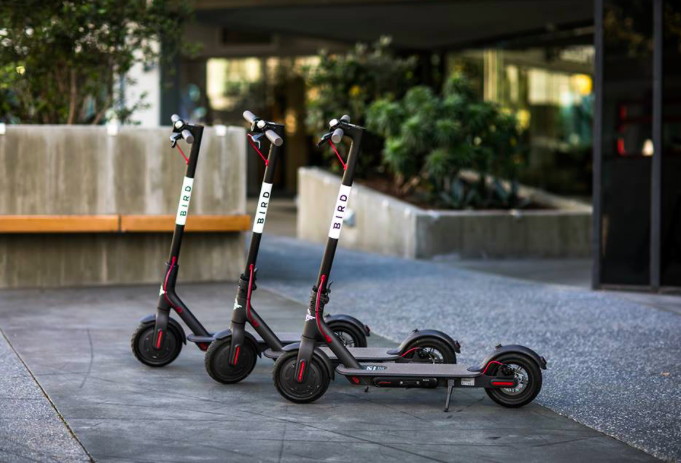 According to an article by Statesman.com, Bird only has to pay $30 for a six-month license per scooter in Austin,Texas. In Corpus Christi, the fees add up to about $183 for a six-month period per scooter, a significantly higher price given that Corpus Christi’s population is about one-third of Austin’s population..
For now, there are still two scooter companies left in Corpus Christi: Blue Duck and Lime. The scooters are still part of the ongoing pilot program aimed at regulating motorized vehicles. The pilot program ends July 15, 2019 and a final decision will be made regarding motorized vehicles in Corpus Christi.